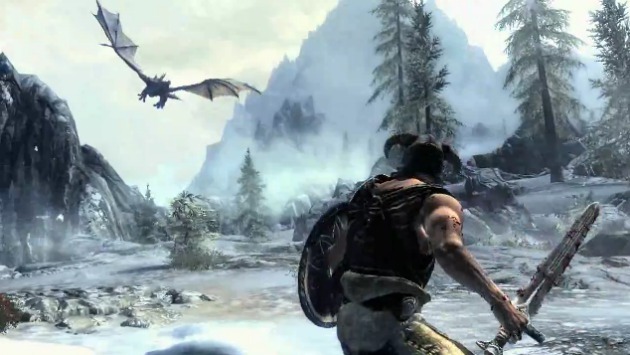 Elder Scrolls To Get The MMO Treatment. Posted on May 4, 2012 by Big Red	in Gaming Booty, Geeky Booty and tagged elder scrolls mmo, games, games news, gaming news, mmo news, skyrim news, the elder scrolls online. When games developer Bethesda officially announced this week that their smash hit RPG game franchise The Elder Scrolls was to finally get a massive multiplayer online treatment our excitement bubbled over and we collectively made this delightful sound. We have been working hard to create an online world in which players will be able to experience the epic Elder Scrolls universe with their friends, something fans have long said they wanted. It will be extremely rewarding finally to unveil what we have been developing the last several years. The entire team is committed to creating the best MMO ever made – and one that is worthy of The Elder Scrolls franchise. It’s also known that Elder Scrolls Online will encompass the entire continent of Tamriel which will give gamers a unique opportunity to explore and interact with a gigantic world, (see map above). It’s not yet known at this stage if there are any plans to bring this game to the PS3 and Xbox 360. We can only hope. ← Wolverine In The Avengers?